So, kia ora tatou. It's lovely to be here. Thank you for that introduction and I have 20 minutes to tell you all about growing up in New Zealand and some transition. So I'm known to be quite hyperactive so I hope you can keep up. And I'm really looking forward to hearing from Damian and having a chance to engage with you in the question time. I will come back to explain the title, "Transforming Ordinary into Extraordinary" at the end. Those are not my words but I think they're appropriate when we're thinking about longitudinal studies generally. So we'll come back to that. So what I thought I'd do is just give you a very brief context, a very brief introduction, to growing up in New Zealand, understanding that many of you will know lots about this study already, and some of you may not be quite so familiar. So I am going to actually go quite quickly through it, but just to give you a basis to understand some of the results that I will then present to you. So going back to the beginning, growing up in New Zealand was set up by a group of 16 government agencies actually to understand what was shaping contemporary child development in New Zealand. It was absolutely built on the foundations and the success of the Dunedin and Christchurch study and on the longitudinal studies that were coming out of the UK and Europe and the understanding that actually following the same group of children and families over time could provide evidence that really had utility to help inform policy across sectors and ultimately improve wellbeing of all of our population. So the study was really set up because it was recognised that New Zealand was a very different place than it had been in the 1970s when the other studies were established. So important things about this cohort is that firstly it's a lot larger than those earlier studies, it's nearly 7000 children. That's important because we need to have the statistical power to capture the diversity of our population and of course our ethnic diversity is completely different to what it was 40 or 50 years ago, in terms of Maori Pacific, in terms of the proportion of the population, but also increasing multi ethnic diversity, and I'll talk about it in a second. So one of the very important things in setting this new study up was to make sure we had explanatory power for our Maori children, for our Pacific children and for our increasing group of New Zealand Asian children. So you'll see one in four Maori, one in five Pacific, one in six Asian and still two-thirds New Zealand European. Now that was what the parents told us their children were going to be before they were born or what they thought they would be. So obviously listening to the children themselves is also critically important and we're about to do that which is super exciting. Now even those of you that didn't do maths at school will know that that means that most children now, actually now that they're eight, are identifying with more than one ethnic group and their identity is expected to potentially change over time. So it's really important. We recruited in pregnancy, that was a little bit challenging, but also something we felt was important because that peri natal period is critically important for shaping development of children after they're born. The beginning of the first thousand days. So we wanted to actually make sure we were capturing that in this cohort a little bit different than the earlier studies certainly different than the other growing up studies around the world which have started when their children around about nine months old. We also recruited dads from the beginning, Dad's a matter too. So not all mums gave us the contact details for their dads but where they did we recruited dads, and those dads have actually -- or the numbers of dads, which sounds a bit weird, has actually increased over time. I'm sure that's not actually the case but the number involved in the study has increased over time. We have been able to retain contact with this diverse cohort well through their pre-school years, it's proving to be more challenging as they enter school. But it's been an important part of the study and we are very interested in this idea of understanding the gap that exists between policy, which sits at the outer ring of our conceptual framework here about child development, and what's actually happening for the children in the cohort, with all of those layers in between. So we're interested in measuring child development. They are central to the group that we're following, but we also understand that children develop in dynamic interaction with all of these different environments around them and that changes over time, which is why you see a double puddle model, which is what we affectionately call this little picture here. So here's a little cartoon that talks about the things that we've done to date. I was talking to my comms manager yesterday who said we now have completed over 90000 interviews and we have over 50 million pieces of data. So it's been a long exercise and a really rich data datasets - bless you - is now there for analysis, and one of the things that we're excited about as well is the opportunity to actually have this dataset more widely used so that we can understand what's happening for our children and actually fulfil that promise of informing policy. So lots more opportunities to do that. I'm not going to go through this in huge detail but what you can see in the cartoon I hope is that we've engaged with mums and dads which is the two stick figures facing each other, from pregnancy, nine months, two years, and then mums at four and a half. We've also had the strange thing that looks like a phone now but won't for much longer where we've contacted families in between these contacts to try and find them, because they move all the time, which I'll talk to you about as well and I'm sure that's familiar to many of you working with children and families. As well as that we've measured the children. Important to know their growth, their cognition, their behaviour. So we've measured them at routine intervals. We've had linkage to routine data sets from before the IDI was a thing, but now increasingly looking at how we can actually use that IDI linkage as well, because that's a fantastic unique resource that we have in New Zealand at the moment. And alongside that we've taken biological samples. So a little bit of spit at four and a half, a lot of lunch, and now we've got DNA for our children which is fantastic, and we've got cord blood from when they were born and we're collecting it again at eight. So we have a way to actually understand nature and nurture, not nature or nurture, for these children as they develop as well. Now when we think about child development the study from the beginning, but like Dunedin, has always been multidisciplinary. We're not just interested in one facet of development, we're interested in how this child grows up in terms of its interconnectedness of influence of domains but also outcomes. So this is a little cartoon that we put up. It's interwoven deliberately to demonstrate the sorts of things that we're thinking about when we think about child development. So, yes, it includes health and wellbeing and wellbeing is an important concept at the moment and that's been an important concept from the beginning. A holistic view of that, not just free of disease, but we're also interested in things like education aspirations for education engagement and ECE(?) transition to school. I'll talk a little bit about that at the end. But alongside that we're interested in behaviour, we're interested in psychosocial development, we're interested in the family and the dynamics of the household. And importantly we're interested in the culture and identity of that family initially and then of the child. And I just want to explore that a little bit more because that's something that's quite unique about this study. The size of the study allows us to look at this in a way that I think we probably haven't been able to before and it is really complex. So here's just a little picture that actually one of our children in the study drew, you can see that their spelling left a little bit to be desired at four and a half. One of the things we were doing was checking what their readiness for school was. But actually a lovely graphic. And this is really here just to illustrate that when we think about that domain in particular and when we think about ethnic identity or any other identity it is a very complex construct. So when you see our results or others results that break findings down by ethnicity, there's actually a lot of complexity that sits under this. And we're doing quite a lot of work at the moment to say what difference does it make according to which sort of identity we put into our, models for example. So we ask mums and dads a lot of questions before the children were born about their own background, about their own identity, about their expectations for their children. But equally we go back and ask that again of the parents and then of the children themselves as they're growing up. So all of the things that you see listed there are part of that domain and there are many more. So we have a way to explore really what it means to identify with a particular ethnic group which I think is part of understanding what creates the inequalities. So just to show you an example of how complex that gets when we start thinking about this generation, here's just quite a simple example, actually, of our Maori cohort. So one in four of the parents said that their children would identify, they expected their children to identify as Maori. But when you break that down from the 1,617 children who were in that category you find that mum and dad only agreed on that 50% of the time and that the other 50% of the time sometimes the mums said that and sometimes the dad. Less often the dad. And they have changed their mind over time and the child will change their mind over time. So when we're thinking about ethnicity in a model, firstly we're thinking is it parental ethnicity and is it both, and do they agree or not. It's going to be quite interesting to see whether the children agree with their parents and they'll be telling us that this year. So that's part of the complexity, I think, just to keep in the back of your mind whenever we present any figures by ethnicity, it's really important to think about what that is. And we try and let the cohort tell us themselves who they think they are, rather than us trying to figure that out independently or objectively or subjectively. But we have multiple ways of measuring it. So just a little sort of note before we get into it. Okay. So what I want to do now is just to go through actually quite quickly some of the things that have stood out for us from the first five years of data, some of that pregnancy through to four and a half, readiness for school, and just pick out some of the key features. And I realize a few of you will have heard bits of this before, so I'm just going to go through it quite quickly and then I'm going to focus on one or two things about transitions and about vulnerability that I hope will sort of dig in to some of these results a little bit more. So I think the first thing to say -- well, first thing to say is actually that all these children are in the cohort. So we always want to acknowledge the cohort when we speak here. I'm just the mouthpiece for all of these wonderful families and children. These are mostly families who did not want their children to be identified and we respect that. But we have a group of about 50 who've said we can use their photo. So these are used with permission and they are children who are in the study, so important to acknowledge that. So if you happen to have a child in the study and you see your child I hope you remember signing the form. Otherwise sue me or see me later. So this is the group of children -- this is to remind me that actually while we're going to focus on many of the things that are actually not going so well for our children, it is important to recognize that most of the parents say that their children are thriving. So around 80% to 90% of the parents are actually quite happy with how the children were doing in the preschool period. Now that may not mean that they've achieved their full potential, but the parents are happy that they are developing well. And we quite often forget that when we focus on the negative, although we must focus on the negative because we want to fix it. But it's important to note that I think. The other reason for putting this up is that 97% of the children by the time they were getting ready to start school had engaged in some form of early childhood education. So that's a good figure. 98% was the Ministry target. That had changed over time and we have a full audit of that ECE experience which we're looking forward to somebody coming and sitting alongside and hopefully investigating that more because there's a huge amount of information in there to be looked at, in terms of what that journey means for readiness for school and transition in to school. We also look at engagement with services. So we know, and you will know better than I do in many cases, that there are many services that are targeted to our preschoolers. Some of those are free, in fact many of them are free, including 20 hours of free ECE, but also things like oral health checks and well child checks and so on. So we want to know whether those services that are designed to reach these children are actually getting to those who have the most need and whether they're actually reaching the target population. So this was about oral health. So we looked at engagement and the free oral health check, because it is free. And unfortunately we found that only 70% of the children had actually undergone a free oral health check before they started school. And when we broke that down to our Maori and Pacific, remembering all those things about complexity of those groups, we found that the rate was even lower. So only about half of our Maori children and a third of our Pacific children had taken advantage of that free check. So it's not all about cost is sort of the message there. It's also about all the other access and how we enable access and so on. So those are some of the things that we can dig into with this data directly from the families and the children. Something that we were really quite upset about actually was the rate of bullying that was reported by these families. One in three mums reported that the children were regularly picked on or bullied by other peers before they started school and there were 10% who reported that persistently since two. Now it's Mum's report at this stage and obviously we're following up with the children themselves at eight. But given the rates that we see in adolescence we're worried that bullying and the tolerance of bullying are starting early. So we were concerned that so many parents were saying that their children were being bullied and picked on and it wasn't just once this was a persistent bullying. So we will follow that up with the children and also see what else we might be able to do around that. Because we follow the children obviously in the context of their parents and families we can look very much at the well-being of the parents and that's critically important for these children in their first thousand days but also their pre-school years and actually probably all the way through to adulthood. And one of the things again that we were saddened by, I guess, was the rate of depressive symptoms that we saw in our mums. So one in five mums of the preschoolers had experienced some depressive symptoms at some point between late pregnancy and five. That rate was one in eight in pregnancy and actually one in 12 postnatally. And there was a lot of churn in that, as I'll show you shortly, there's a lot of movement in and out of these things but actually if mum's experiencing those symptoms, her capacity to then look after her child is diminished. And dads also got the blues more than we would expect for fathers or men of the same age in the population who were not about to have a child. They were likely to be more depressed after the child was born rather than before, which was opposite to the mums. And if Dad was depressed Mum tended to have a higher likelihood of being depressed as well. If Mum was depressed it didn't seem to make any difference to Dad. Make of it what you will. Part of what we can also do because it's really important is to track the household. So these children are not developing in isolation, they develop in the context of a family. So we're interested in their parents' well-being but we're also interested in who else is in the household and how that household structure is potentially changing over time. What difference that makes, who's coming in and out of these children's lives, and some of the parents do change and some of them are not biological parents as you will understand. So there are lots of different transitions going on. In one and four of the children at birth was actually living in an extended family situation and one and five at four and a half. So a large proportion of the children are actually being influenced not just by Mum and Dad but by many other people, often grandparents, aunties, uncles and other people living in the house. Something I think we probably have not thought enough about in the policy space in terms of who's influencing what's happening for these children and who's available to potentially be transferring knowledge or skills or even cultural knowledge to these children. So digging into those general results a little bit I think one of the things that was potentially most surprising and continues to surprise us, because this is a population study not just a vulnerable population, which we'll get to shortly, is how incredibly mobile these families are. So in the first two years of life we had one in two of the children had moved at least once in terms of their family moving house. Between two and four another 50% of the cohort had experienced at least one residential move. So by the time the children had got to four and a half only one in three of all the cohort children had stayed in the same residential home their entire pre-school years. So that's quite different I think to a couple of generations ago. That's a really high rate of mobility and some families, some children, are experiencing very high mobility. So we have a small group who experienced ten or more moves in that five year period. Now, one of the things that is particularly associated with that was tenure, which is probably no great surprise when people think about housing markets in New Zealand at the moment. And the most likely group to move were those who were in private rentals. So we had quite a stable group actually only 6% or 7% of the cohort though in public rentals and we had around 50% who were in home ownership or working towards that. So the other 40, just over 40%, were in private rentals. And what you can see from this slide is that unfortunately that movement wasn't associated with greater stability or security over that five years. People tended to move between the same types of tenure properties. So our private rental families are moving between private rentals rather than moving into homeownership in general. There's a little bit of a mix. And one of the things that we were concerned about with that, which you can see in terms of some of the policy briefs we've done, is that when we looked at the safety features in those by tenure type then private rentals tended to have the least safety features: least working smoke alarms, less fenced driveways, less safe areas for children to play and so on, which has fed into some of the work that's now going on in the warrant of fitness, but more to do in that space. And actually, from what we can see so far, it looks like many of these children - almost half - will be experiencing that rental process throughout their life. There isn't an opportunity for them to move in to a place where their family can own a home. Couple of other things to focus on and then we'll get to the vulnerability bit. Screen time. Huge issue in terms of the fact that we know the rhetoric has been that all screen time is bad or more screen time is bad, at least, and the more screen time the more likely children are to be antisocial and have behavioural issues and end up in the criminal justice system and absolutely those associations are real, you know, those associations between what's going on. But this group of children are digital natives, so they will be using screens their whole life. It is ubiquitous for this population of children from the time they are one year old, they are swiping pages of books rather than tuning them. So we wanted to understand what it means for this group. How do they engage with screens and what can we do to potentially provide messages back to families about what they can do to mitigate that downstream risk or impact. So we did see that by four the average screen time every day interacting with screen time was up to over two hours a day. So that's pretty high really and it gradually increased over time. The more screen time we absolutely saw the higher likelihood of abnormal behaviours and the higher likelihood of overweight and obesity. So that association has already there in that first five years. However what we like to do is to say why are we seeing these things. And when we looked at rules around screen time for these families and whether there were rules that were enforced and kept. So who was watching the screen with them, what time were they watching, what was the content and so on. Actually where there were rules the association disappeared or became much less significant. So that was a good message to be able to give to parents, if you can have boundaries and rules around some of these things that we might think are inherently bad, maybe we can mitigate some of the downstream impacts given that these children will be engaging with screens as they enter school and probably for the rest of their lives. We've also been looking at another big issue which of course is childhood overweight and obesity. And as you saw from an earlier cartoon we've measured that, some of the work using the IDI that I'm involved in the National Science Challenges and looking at the cross-sectional measures will suggest that our four and a half year olds are experiencing slightly less obesity over time. But when we follow the same children in this cohort over time we're seeing their overweight and obesity increase over time. So I think we just have to be careful about where that information is coming from, both of them are correct, but one's a cross-sectional trend and the other one is looking at a particular group of children. Now, that's all very well if we measure them as overweight and obesity. But in order to try and do something about that and to say how can we support these families with children who are struggling in this way, we want to understand how the families feel about it. So we asked mums and dads and actually their perception of their children's overweight and obesity is quite different than what's measured. So if they're not recognizing that their children have an issue they are unlikely to want to take any advice on board to do anything about it. So the perception is different than the reality. Only one in three of the families whose child was measured as overweight or obesity perceive that to be a problem. And in fact as far as the families were concerned it was much more important that their children were happy and healthy, what they called happy and healthy, rather than their size per se. Important when we think about what we do about these things and how we support families. All right, I want to move on to this idea of what are the advantages of following children and families over time, and this idea of things churning and changing over time and what we can learn from that. So here's just a couple of examples of things that we might consider and they are really risk factors for vulnerability or for adverse environments. So living in the highest deprivation quintile at antenatal or nine months or having a mum who's experiencing depressive symptoms similarly over that perinatal period. And you can see if we just took cross-sectional measures of that the numbers look the same. But the advantage of following the children and the families through is that we can see that there's churn. Some of the mums are moving out of those depressive symptoms and 50% are moving in. Similarly, they're not all in the same depravation area. Some are moving in, some are moving out. And one of the things that we can do with this sort of data is to try and see what is actually impacting or what's influencing those moves, because if we want to move people out of that situation it's good to know what's actually enabled them to get there. And also we want to avoid the risk factors that have maybe made them move in to a situation that is less than ideal. And similarly we can look at outcomes, and this is an outcome I haven't chosen at random. It's really about self-regulation and self-control. Huge issue at the moment in terms of policy in terms of how do we do anything about this. A lot of evidence now out of Dunedin as well as other studies that demonstrate that three is critical for what goes on later. I'm going to tell you there's nothing magical about three actually, it's just when it was measured. We've measured it at two and four and a half and equally we see issues. But what I want to show you here is that it's not static. So basically 50% of the children that you might pick up with issues at two have resolved by four and a half and by four and a half 50% are new. So we have to be really careful about that when we're thinking about programmes to actually support better self-regulation. We don't what a label, we want to support. And universal strategies might not be the only answer, because they might actually make things worse, which I'm going to come to shortly. And that's just my opinion maybe, but we'll come back to it. You can challenge me on it later. Obviously really important to look at things like child poverty. So this is in the last couple of minutes I will race through this. We wanted to look at poverty and we have done this for a few years, we've also called it vulnerability before child poverty and persistent child poverty was the way that we are thinking about this now in the policy space. And we, like many of you, I imagine, if not all of you, will know that poverty is more than an income measure. It's about a whole cluster of things that go on for families that restrict their opportunities, that constrain their choices that make life difficult for families and therefore for their children. So we wanted to look at how we could actually characterise families from very early on to see how we could identify which children were likely to be experiencing the most vulnerability and what we then might be able to do to support them very early on, so we could actually avoid some of the problems we know exist for children who are experiencing high rates of persistent poverty or vulnerability or exposure to any one of these risk factors. And we looked at this in clusters. So we took 12 risk factors which I've just flicked over, but those 12 risk factors are pretty much risk factors any lead maternity carer, any GP, any worker engaging with a family in pregnancy could easily get a hold of. And we ranked any four or more of those at one point in time as being exposed to a high vulnerability situation or high poverty if you want to take a broader view of poverty. And then we looked at that in pregnancy, nine months and two years and we looked at that cumulative exposure over the first thousand days. And what we've got here is just a graphic that illustrates that of course that cumulative exposure is not equally distributed in our population and we might expect that given what we know about the inequalities that we see and the poor statistics that we see particularly for our Maori Pacific tamariki and how unacceptable those are. So the first thing we can see here is that our Maori and Pacific mums in this case are experiencing much greater rates of exposure. So no great surprise in that but the power of the numbers just shows how prevalent and persistent that is. And I guess the next couple of slides table why does it matter. Well it does matter and then the next bit is going to be what might we do about it. So when we look at exposure for children, so this is children's outcomes now at four and a half, it's a graphic that tries to describe the sort of environments they were exposed to at those three time points: antenatal, nine months and two years. High is over four of any of those twelve risk factors at any of those times. Medium represents one to three and low is none of them at any time. So basically you've got here a really, well I hope, quite a clear graphic that is showing the graded affect that exists according to the exposure to persistent poverty. So we're seeing here that those children who have experienced the highest rate in all the way through or any high experience of vulnerability are much more likely to have issues with overweight and obesity at four and a half than their peers, particularly those who've experienced no adversity in their first thousand days of life. Now when you look at behaviour it's an even clearer gradient. So here's those who are appearing in the top 10% of the abnormal strengths and difficulty score. So this is a clear graded effect that demonstrates that the higher the rate of persistence or exposure over that first thousand days to poverty or to vulnerability means that almost one in two of the children by the time they're four and a half are sitting in that abnormal category. And you compare that to 4% of those in the low group. Now this looks really bad, but actually I think there are a couple of things that tell us that there is hope here, and I know that sounds kind of odd when I've just talked about one and two of the children, because that's not a good picture overall, particularly for those at the high end. But what it tells us is that it is a graded affect. If we can relieve some of those risk factors early on we're potentially going to reduce the risk for those children. So the more exposure the worse it is. If we can reduce it early on then maybe we're going to have an impact on those children rather than having them persistently exposed to that vulnerability. The other thing that it tells us is that even for those in the top group, nearly one in two, at sort of showing abnormal behaviour, more than half, 56%, are not. They are doing okay. So what it makes us do is say, "What's happening for them? What is different? How can we use what's different for them to talk about resilience and inform strategies that aren't just about reducing risk factors but are maybe about thinking how do we support these families differently to actually try and make sure more of the children experiencing that adversity, while we fix the adversity, which is not going to be overnight, can actually be exposed to other supports that might increase their opportunity for resilience?" So this is what this slide is trying to introduce. I mean I think everybody is aware now that the earlier we intervene the better. And the slides that I've just shown you demonstrate that very clearly this was a theoretical model from Heckman(?). He put it out some years ago, but I think we see that repeatedly in the statistics. We think that if we can intervene in the early years we've got more of a chance of changing the trajectory for these children, reducing their likelihood of poor impacts right throughout their life course. But the question is what do we do which is the 10 million dollar or maybe it's slightly more than that question. And that's really what this cartoon is about. You know if we are going to actually provide evidence and that's what we hope to do from these collection of voices and stories we need to not just show these associations but try and understand why we see them and also what shaping resilience what's happening when we look across all of these things operating together because things don't operate in silos which is why we've used this cluster sort of model. So that's what we've tried to do. I'm just going to finish off this by giving you an example of something we've done in South Auckland. So we have a significant number of our children who are growing up in South Auckland 1252 of them. 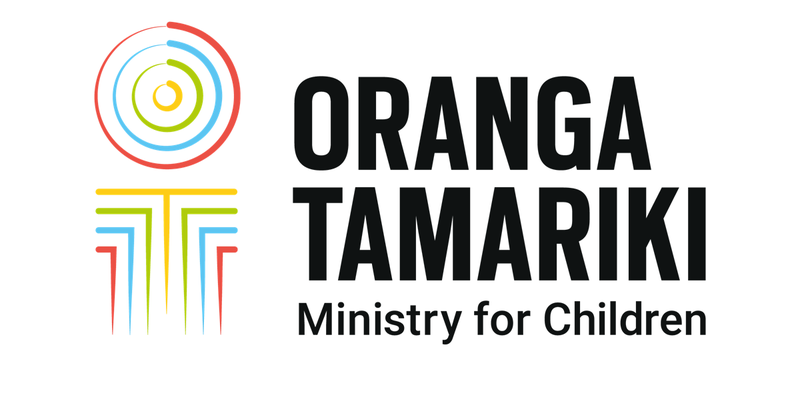 They are some of our most vulnerable children in New Zealand living in some of the most vulnerable environments. Many more of them are Maori or Pacific than they are in other regions and as opposed to 10% of all the children in the growing up cohort experiencing that high level or persistent poverty in their first two years, twice as many - 20% of the children in that space - are experiencing that high exposure. So we took these results with a group in Auckland with a group who were working with the communities and sat with the communities and shared some of the other things that had come out of the study about the other half of the children who were not experiencing problems and some of the things that came out of that, in terms of what worked, and we worked with the communities and with the groups who were out there including Auckland Council, including the libraries, including story time foundation to actually then put those into practice. So what we've done, and this is something you probably could have got from your grandmother, but the power of numbers sort of supports it, is it the things that made a difference for 56% of the children for example who didn't experience the abnormal behaviour but who had experienced really adverse environments was that they were well-connected. So their families were well supported, connected to their communities, they said they had good rates of engagement between their parents and children, talking time, reading books, telling stories, singing songs, all sorts of things that we all know are probably good. But actually this is telling us from all of this evidence that it really does make a difference. So what happened is a place has been set up, in the Auckland library, South Auckland libraries, that basically provides a home away from home for mums and children who are there, young children. It's a loud space, it's not a quiet library, it's where they can gather and support each other, it's where people can come to them with services or information or to support them. It empowers those mothers to actually understand how they can provide the best opportunities for their children, despite living in some of the harshest environments in New Zealand. So we're just monitoring that to see how it goes, but it's just an example of how we can turn this into something not on our own but co-designed with the communities that it's designed to enhance. I'm not going to have much time to talk about this because I realise I'm seriously out of time. So I did just want to mention one other thing though, and this is something that came out from looking at the group who had the highest need according to vulnerability, according to the clustering of risk factors and actually whether they were currently engaging with the services that were there for them. And unfortunately they're not engaging at the rate that we would like them to. And I think that's probably not a great surprise. And when we look, for example, at before school check which we're now linked to, we do see that our most vulnerable families, our Maori, our Pacific, our most deprived, those living in the most deprived areas are less likely to engage with services than those who are more advantaged. And this is an overestimate of the engagement, because this is only the families who've actually consented for us to link. So what we actually see and what we actually do is that if we're relying on those before school checks, which I know many of us are, and we are as well, to actually think how are our pre-schoolers doing we need to be aware that 10% of our preschoolers, according to the growing up cohort, maybe more, are missing out on that before school check. And if we don't think about that group who are the most vulnerable and we create strategies based on the group we know about, that's where I think we are likely to actually make the gap worse rather than resolve it, because we're actually not including the voices of those who are most vulnerable from our end. I mean I know there are lots of work going on to try and do that but it's challenging. So I think it's important that we just remind ourselves about that. That wealth of admin data can be incredibly useful for informing things but we need to think who's not there when we're starting to think about what we do about it. Okay. We've got the children transitioning to school, there's not time to talk about that. If you're interested, have a look on the website. The only thing to say is that already 12% of the children have experienced a school change in their first year of school between five and six. 12%. And again it's the sort of groups you're worried about. So this is this transience, early transience is potentially going to be a bigger problem and the mobility is carrying on. We hoped it might slow down, but so far it hasn't. So let me go back to my title. It wasn't me that said that following ordinary children and their families could be transformative. We could follow ordinary lives and get extraordinary pieces of information. It was somebody wonderful called Helen Pearson who wrote a book called The Life Project. She talked about all the UK studies that have followed children and families now for 70 plus years. She also wrote about how mad the PIs were, so if you really want to laugh then read it. She said that people who ran these studies had to be slightly strange, so take that as you will. But I think the things that I've tried to just introduce you to very briefly are just how important it is for studies like this that are getting the stories and the voices directly from children and families, can add value to some of the other information that we can glean from our larger data sets or some of our administrative data or some of the work that is coming out of some of your agencies and actually together those things can be really, really valuable. So we're in the field now hearing from the children themselves. Super exciting, and I hope to report back to you in about a year's time about what they're telling us about who they want to be and what their aspirations are and some of them are quite aspirational. And I just want to finish off by saying a huge thank you to our families and our children because really I'm just the voice piece, it's their collection of stories and the way they so generously share their lives with us that allows us to hopefully make a difference for all children. So that's really what keeps driving us. Thanks for listening.